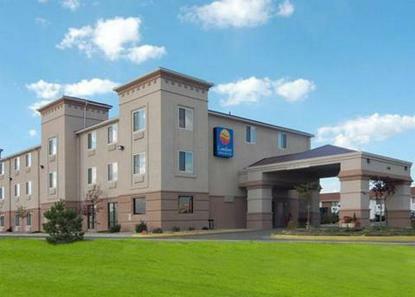 Welcome to the Comfort Inn & Suites located off of I-80, the gateway to Yellowstone National Park and the Grand Teton National Park. Nearby are Mount Rushmore, Wyoming Historic Frontier Prison and Medicine Bow National Forest. All guestrooms include FREE wireless high speed Internet, microwave, refrigerator, hair dryer, iron/ironing board, coffee maker and cable TV. Take a swim in our indoor pool or relax in the hot tub. Enjoy our complimentary hot breakfast every morning. Meeting space on premises and Hot Tub Suites are available. Non-smoking hotel.